In a deal that should help Apple boost its enterprise security offerings, the iPhone maker is planning to buy mobile security company AuthenTec for $8 per share or a little over $356 million, AuthenTec said on Friday. AuthenTec provides security software and hardware for mobile phones, PCs and networks, according to the company's website. Earlier this month, AuthenTec closed a deal with Samsung that would put its QuickSec VPN security into new Android smartphones and tablets. 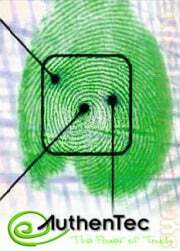 The Florida company's products and technologies are used in "hundreds of millions of devices", and AuthenTec said it has shipped more than 100 million fingerprint sensors for integration in a wide range of portable electronics including over 15 million mobile phones. Other customers include Motorola, Nokia, Lenovo and LG. AuthenTec entered into a merger agreement plan with Apple and Bryce Acquisition Corporation, a Delaware corporation that is a wholly owned subsidiary of Apple, on July 26, according to the company's 8-K filing with the U.S. Security and Exchange Commission (SEC). The plan is to make AuthenTec a wholly owned subsidiary of Apple, according to the filing. Both companies also entered an intellectual property and technology agreement that provides Apple with the right to acquire non-exclusive licenses and certain other rights on hardware technology, software technology and AuthenTec's patents, according to the document. For the right to acquire those licenses and other rights, Apple will pay $20 million. And Apple will have 270 days to choose to license hardware, patents or software on a perpetual non-exclusive basis for a total sum of $115 million. The companies also signed a development deal under which AuthenTec will provide one-time engineering services to Apple for product development which costs Apple $7.5 million, according to the filing. The newly developed product are to be owned by Apple. Apple could not immediately comment on the acquisition plans.